I am a scientist in the Center for Neutron Research at the National Institute of Standards and Technology (NIST) in Gaithersburg, Maryland. I have been at NIST since 1989. MSE then PhD, University of Michigan, Ann Arbor (1980). Small-angle neutron scattering (SANS) from polymers and complex fluids. Understanding clustering and solvation in water-soluble polymers and polyelectrolyes. The helix-to-coil denaturation transition in DNA and other biology projects. Small-Angle Neutron Scattering (SANS) is an effective characterization tool for nanoscale structures. An extensive effort has been expanded to put together a 670 page textbook on the SANS technique and its application to the following areas of research: (1) Polymers, (2) Complex Fluids, (3) Biology and (4) Materials Science. This work is the culmination of over 20 years of SANS work mostly at the NIST Center for Neutron Research. Check out the entire pdf file. A Distance Learning Course covering most aspects of Small-Angle Neutron Scattering is available here. These are complete audio-visual SANS tutorials that includes introductory presentations as well as information about SANS data acquisition, data reduction and data analysis. It takes 4 hours to go over each one of these tutorials. SANS data sets have been included.
. A Pluronic triblock copolymer in heavy water is rich in structural and phase transitions upon heating going all the way from polymer coil at low temperature to spherical micelles, then to cylindrical micelles and finally to lamellar morphology at the highest temperature.
. SDS forms micelles in D2O. The effects of temperature and SDS fraction are investigated. A set of material balance equations show that the amount of SDS remains dissolved in D2O at the CMC level even after micelles form.
. Ethanol plays the role of co-surfactant on SDS micelles. It is found that ethanol accumulates inside the micelles! This is a short tutorial covering the basics of many physical characterization methods. These include scattering methods (such as SANS, SAXS, DLS, and WAXS), spectrocopic methods (such as UV-Vis, and FTIR), microscopy (optical and electron based techniques) as well as other methods (calorimetry, chromatography, density measurements, etc). Check out the pdf file. L. A. Hough , M. F. Islam, B. Hammouda, A. G. Yodh, and P. A. Heiney, Structure of High Weight Fraction Single Wall Carbon Nanotube Suspensions and Gels, Nano Letters 6, 313-317 (2006). B. Hammouda and D. Worcester, The Denaturation Transition of DNA in Mixed Solvents, Biophysical Journal, 91, 2237-2242 (2006). B. Hammouda and D. Mildner, SANS Resolution with Refractive Optics, J. Appl. Cryst. 40, 250-259 (2007). A.E. Whitten, D.A. Jacques, B. Hammouda, T. Hanley, G.F. King, J.M. Guss, J. Trewhella, and D.B. Langley, The structure of the Sda-KinA Complex Suggests an Allosteric Mechanism of Histidine Kinase Inhibition, J. Molecular Biology 368, 407-420 (2007). T. Owen, R. Pynn, B. Hammouda and A. Butler, Metal-Dependent Self Asembly of a Microbial Surfactant, Langmuir 23, 9393-9400 (2007). F. Horkay and B. Hammouda, SANS From Model Synthetic and Biopolymer Solutions, Colloid and Polymer Science, 286, 611-620 (2008). G. Cheng, F. Hua, Y.B. Melnichenko, K. Hong, J.W. Mays, B. Hammouda, and G.D. Wignall, Association and Structure of Thermosensitive Comblike Block Copolymers in Aqueous Solutions, Macromolecules 41, 4824-4827 (2008). B. Foster, T. Cosgrove, and B. Hammouda, Pluronic Triblock Copolymer Systems and Their Interactions with Ibuprofen, Langmuir 25, 6760-7666 (2009). R.A. Hule, R.P. Nagarkar, B. Hammouda, J.P. Schneider and D.J. Pochan, Dependence of Self-Assembled Peptide Hydrogel Network Structure on Local Fibril Nanostructure, Macromolecules 42, 7137-7145 (2009). B. Hammouda, The Mystery of Clustering in Macromolecular Media, Polymer 50, 5293-5297 (2009). B. Hammouda, SANS from Polymers - Review of the Recent Literature, J. Macromol. Sci. Part C: Polymer Reviews 50,14-39 (2010). B. Clover and B. Hammouda, SANS from P85/d-Water under Pressure, Langmuir, 26, 6625-6629 (2010). B. Hammouda, A New Guinier-Porod Model, J. Appl. Cryst. 43, 716-719 (2010). B. Hammouda, SANS from Pluronic P85 in d-water, European Polymer Journal 46, 2275-2281 (2010). 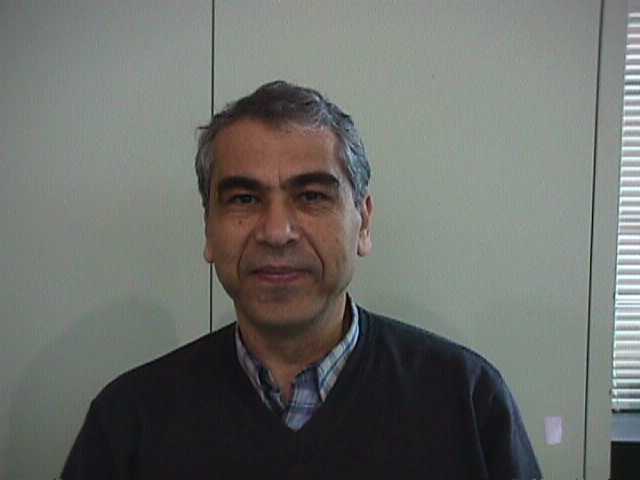 B. Hammouda, Analysis of the Beaucage Model, J. Appl. Cryst. 43, 1474-1478 (2010). D. Johansen, C.M.J. Jeffries, B. Hammouda, J. Trewhella and D.P. Goldenberg, Effects of Macromolecular Crowding on an Instrinsically Disordered Protein Characterized by Small-Angle Neutron Scattering with Contrast Matching, Biophysical Journal 100, 1120-1128 (2011). J. Xu, B. Yang and B. Hammouda, Thermal conductivity and viscosity of self-assembled alcohol/polyalphaolefin nanoemulsion fluids, Nanoscale Research Letters 6, 274-1 to -6 (2011). Z. Li, H. Cheng, J. Li, J. Hao, L. Zhang, B. Hammouda and C.C. Han, Large-Scale Structures in Tetrahydrofuran-Water Mixture with a Trace Amount of Antioxidant Butylhydroxytoluene (BHT), J. Phys. Chem. B 23, 7887-7895 (2011). L. Hyland, M.B. Taraban, B. Hammouda and Y.B. Yu, Mutually Reinforced Multicomponent Polysaccharide Networks, Biopolymers 95, 840-851 (2011). S. Pai, B. Hammouda, K. Hong, D. Pozzo, T. Przybycien and R.D. Tilton, The Conformation of the Poly(ethylene glycol) Chain in Mono-PEGylated Lysozyme and Mono-PEGylated Human Growth Hormone,, Bioconjugate Chemistry 22, 2317-2323 (2011). B. Hammouda, Small-Angle Scattering from Branched Polymers, Macromo. Theory and Simul. (2012). B.J. Watson, B. Hammouda, R.M. Briber and S.W. Hutcheson, Influence of Organic Liquids on the Nanostructure of Precipitated Cellulose, J. of Applied Polymer Science, 127, 2620-2627(2012). B. Hammouda, Temperature Effect on the Nanostructure of SDS Micelles in Water, J. of Research of NIST 118, 151-167 (2013). M. Crawford, R.J. Smalley, G. Choen, B. Hogan, B. Wood, S.K. Kumar, Y.B. Melnichenko, L. He, W. Guise and B. Hammouda, Chain Conformation in Polymer Nanocomposites with Uniformly Dispersed Nanoparticles, Physical Review Letters 110, 196001-1 to -5 (2013). B. Hammouda, D.F.R. Mildner, A. Brulet and S. Desert, Insight Into Neutron Focussing: the Out-of-Focus Condition, J. Appl. Cryst. 46, 1361-1371 (2013). J. Leys, D. Subramanian, E. Rodezno, B. Hammouda and M.A. Anisimov Mesoscale Phenomena in Solution of 3-methylpyridine, Heavy Water, and an Antagonistic Salt, Soft Matter 9, 9326-9334 (2013). M. Hore, B. Hammouda, Y. Li and H. Cheng, Co-Nonsolvency of Poly(n-isopropylacrymide) in Deuterated Water/Ethanol Mixtures, Macromolecules 46, 7894-7901 (2013). S. Pesek, X. Li, B. Hammouda, and R. Verduzco Synthesis and Conformational Analysis of Bottlebrush Polymers by SANS, Macromolecules 46, 6998-7005 (2013). G. Cheng, B. Hammouda and D. Perahia Effects of Intermicellar Interactions on the Dissociation of Block Copolymer Micelles: SANS and NMR Studies, Macromolecular Chemistry and Physics 215, 342-350 (2014). B. Kumi, B. Hammouda and S. Greer, Self-Assembly of the Triblock Copolymer 17R4 in D2O, J. of Colloid and Interface Science 434, 201-207 (2014). B. Hammouda, D. Jia and H. Cheng, Single-Chain Conformation for Interacting PNIPAM in Aqueous Solution, Open Access Journal of Science and Technology, 3, 1-8 (2015). J. Xu, B. Hammouda, F. Cao, and B. Wang, Experimental Study of Thermophysical Properties and Nanostructure of Self-Assembled Water/Polyalphaolefin Nanoemulsion Fluids, Advances in Mechanical Engineering, 7, 1-8 (2015). M. Hore, X. Ye, J. Ford, Y Gao, J Fei, Q. Wu, S. Rowan, R. Composto, C. Murray and B. Hammouda, Experimental Probing the Structure, Composition, and Spatial Distribution of Ligands on Gold Nanorods,Nano Letters 15, 5730-5738 (2015). F. Cao, Y. Liu, J. Xu, Y. He, B. Hammouda, R. Qiao and B. Yang, Probing Nanoscale Thermal Transport in Surfactant Solutions, Scientific Reports, Nature, 5:16040 (2015). B. Hammouda, Form Factors for Branched Polymers with Excluded Volume, J. of Research of NIST, 121, 139-164 (2016). Y. Gao, R. Nieuwendaal, E.K. Dimitriadis, B. Hammouda, J. Douglas, B. Xu and F. Horkay, Supramolecular Self-Assembly of a Model Hydrogelator: Characterization of Fiber Formation and Morphology, Gels, 27, 2-15 (2016). K. Devhari, K-S. Lin, and B. Hammouda, SANS Studies of Microenvironment and Structural Changes of Pluronic Micelles upon Encapsulation of Paclitaxel, J. of the Taiwan Institute of Chem. Engin., 71, 405-413 (2017). B. Hammouda and M-H Kim, The Empirical Core-Chain Model, J. of Molecular Liquids, 2471, 434-440 (2017). S.P.O. Danielsen, G.E. Sanoja, S.R. McCuskey, B. Hammouda, G.C. Bazan, G.H. Fredrickson, and R.A. Segalman, Mixed Conductive Soft Solids by Electrostatically Driven Network Formation of a Conjugated Polyelectrolyte, Chemistry of Materials 30, 1417−1426 (2018). Publications for the 1981-1990 decade. Publications for the 1991-2000 decade. Publications for the 2001-2010 decade. Publications for the 2011-.... years. The National Research Council offers postdoctoral associateship opportunities in our facility at NIST. The successful candidate will be doing research in our area of focus and using our outstanding neutron scattering facilities. US citizenship is required. Selection is highly competitive. Application deadlines are February 1st and August 1st each year. More info can be found here. Check out this abstract. If interested, please contact me at the address below.